As in previous years we will be holding senior and junior coaching sessions on the following dates at Montsaye Academy, Rothwell. Within this format we are also hoping to develop our County’s coaches. There will be opportunity for less experienced coaches ( those entering level 1 coaching and recently qualified level 1 coaches) to work alongside more experienced coaches from both inside and outside our county. We would need your commitment to each of the sessions (am Juniors) / (pm Seniors). For Archers, both the Senior and Junior Coaching sessions will be aimed at the intermediate archer looking to improve technique and performance. The sessions will include strength & conditioning, bow set up / bow tuning, technique and the mental approach. 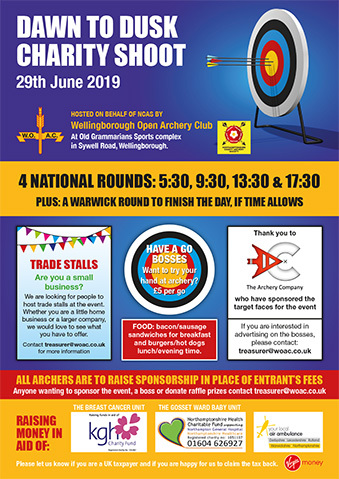 There will be a cost to archers for these sessions and NCAS will be providing a subsidy but until numbers are known the actual cost cannot be determined. As a guidance last year the cost was £25 each for all 5 sessions. For those archers registered onto either the Junior or Senior Coaching sessions, the next session and first for 2017 will take place on Sunday 22nd at Monsaye Community Sports Hall, Greening Road, Rothwell. The Junior session will commence at 9.am, the Senior session at 1.30pm. If you have not yet registered, there are a limited number of places available on the Junior sessions but unfortunately the Senior sessions are completely full. Thank you to all that have applied to join the County coaching sessions. You should have received an email from me with the details. Please see below the confirmed dates. The date in March is to be confirmed. The Junior sessions will start at 9am until 1pm and the Senior session will start at 1.30pm until 5.30pm. The sessions will cost £25. 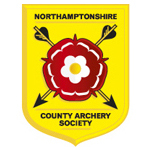 Following the successful junior coaching sessions provided by NCAS over the past few years we have been asked if the County can provide similar sessions for senior archers. In principal, we would be delighted to do so but we need to gauge the level of interest from coaches and both senior and junior archers before we can proceed. We would be hoping to hold 5 coaching sessions between November 2016 and April 2017. We would need your commitment to each of the sessions (am Juniors) / (pm Seniors). There will be a cost to archers for these sessions and NCAS will be providing a subsidy but until numbers are known the actual cost cannot be determined. If you would be interested in reserving a place please contact the below with the following details.